When we read about the 10 plagues everything is repeated twice: once when Hashem commands Moshe and a second time when Moshe executes the plague. The Torah could simply write "and he did so" after each ויאמר ה׳ אל משה (and Hashem said to Moshe) occurrence. Why repeat? In the biblical criticism approach, the book of Exodus originally contained a story about Moses alone. Then the authors of Leviticus ("The Priestly Source") added in the part about Aharon. In this view, the duplicity arises from merging the original source that contained only the version in which Moses threatens and then carries out the plague, with a second version involving Moses telling Aharon to carry out the plague. Ralbag notes (at the end of his commentary on Parshas Pekudei) that there is a troubling problem that the Torah is often repetitive, though being perfect it should not contain needless repetition. He writes that "until today" he has not found a satisfactory explanation for this tendency. However, he does offer two suggestions to explain the general tendency (apart from any reasons that can explain a specific instance of repetition). 1) That was the way people talked then, so the Torah spoke this way as well. 2) The Torah is often very brief on very deep matters. 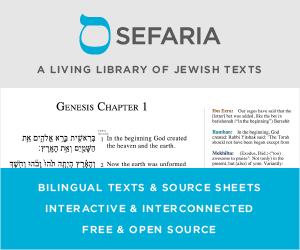 The reader might think this is because the Torah is generally very brief and it is not because there is something very deep that needs to be extracted from the text. Therefore, the Torah is very lengthy in other places to show the reader that any brevity is not simply because the Torah is always brief; rather, it is because of the depth of the specific discussion, and the reader should know that he must delve into it to properly understand it. וירם במטה – בתיאור ביצוע ציוויו של ה׳ אין הכתוב מזכיר פרטים, ואמנם אין צורך בכך, שהרי נאמר במפורש ״ויעשו כן משה ואהרן״. מודגש רק המעשה שנעשה לעיני פרעה, אשר לא ראה מה שנעשה באותה שעה בכל ארצו. לעיני פרעה ולעיני עבדיו נראה הנס שמשה בישרו בפסוקים יז-יח – ״וירם ידו״, אהרן הרים את ידו שבה המטה, ״ויהפכו כל המים״, במכה אחת זו הפכו כל מימי מצרים לדם; ״והדגה אשר ביאור״ וגו׳ גם זה התרחש לעיני פרעה. See also Or Hachaim to 7:10, 7:20, and 7:21 who explains the double wording of Vayaasu Chein and Kaasher Tzvivah Hashem in a number of ways, and I believe that some of his answers may apply to why the additional details would be repeated, but he does not discuss this directly. They may be repeated detail by detail in order to show that Mosheh/Aharon performed these miracles detail by detail in front of the Chartumim, and the Chartumim still could not perform them. To show that Mosheh and Aharon performed every detail that they had promised, in contrast to Pharaoh, who constantly retracts and does not follow through on his own promises/deals. Not the answer you're looking for? Browse other questions tagged parshanut-torah-comment plagues-makkos bo va-eira shemot-exodus . Did hardening Paro's heart mean he wasn't really responsible? When did Moshe warn Bnei Yisrael not to go up Har Sinai? 9 plagues in response to Pharaoh's denial of G-d?